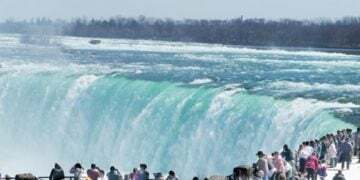 Since the Niagara SkyWheel opened in June 2006, it has become a focal point for vacationers to be treated to memorable views of the Horseshoe and American Falls, as well as the Niagara River and many other landmarks. 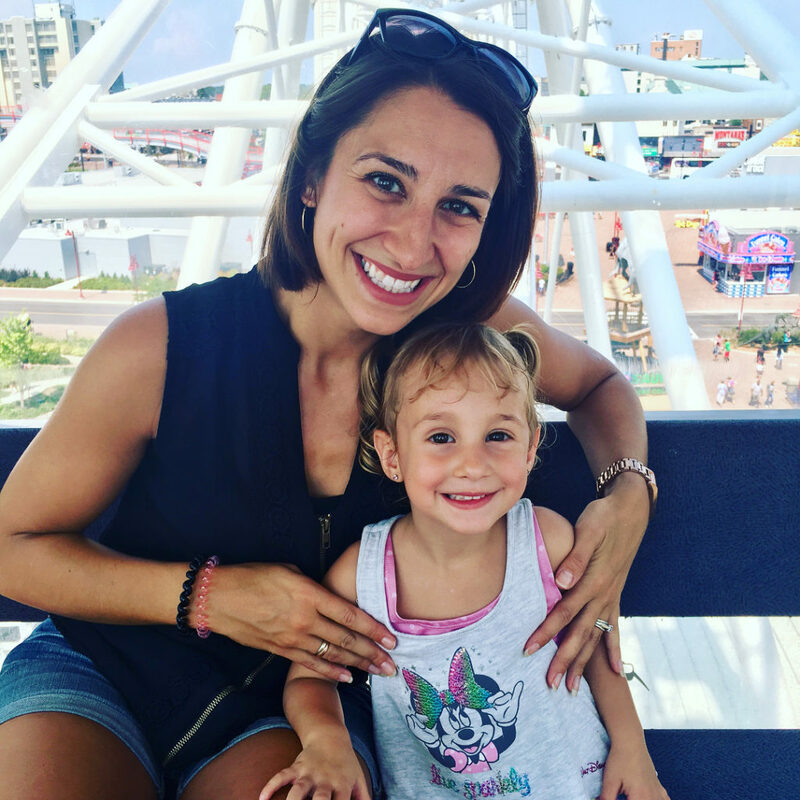 If you need any other reason to ride the great wheel in the sky, I will break down for you the top ten reasons to ride the Niagara SkyWheel. The Niagara SkyWheel reaches 175 feet (53 metres) up in the air, giving you a bird’s eye view for miles in every direction. From this vantage point you will always have a crisp, clear photo/video to shoot. It’s also important to add that each gondola contains special UV resistant glass that ensures clear shots with no solar glare. No matter the Season, no matter the temperature, no matter the elements, the Niagara SkyWheel is open for business. The gondolas are climate-controlled for your comfort, so you are never too cold or too hot. Due to being fully enclosed and constantly maintained, you don’t need to worry about getting soaked or thrashed around in the wind. *Please note that the Niagara SkyWheel will shut down if there is lightning nearby. It is continuously monitored through its weather system and will reopen as soon as a lightning storm has passed. The rates can’t be beat for a first-class view. At only $12.99+HST for Adults and $6.99+HST for Children, it’s highly affordable. 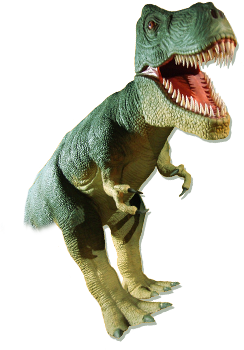 Infants are always free and they offer group rates for parties of 15 people or more. Get $1 off for up to 6 people per transaction by printing of a coupon here. 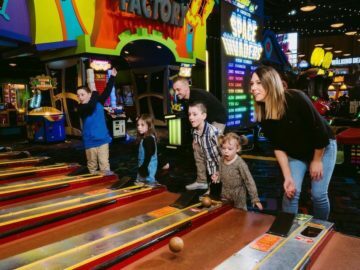 The SkyWheel staff is highly accommodating to groups of people that choose to ride as part of an event, such as for birthday parties, school groups, engagements, and large families. They offer special rates and packages depending on your needs, and you are loaded quickly and efficiently. 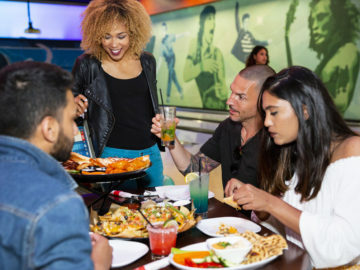 The Niagara SkyWheel accepts Canadian and American currency, Credit Card (Mastercard, Visa, AMEX, and Discover), and Debit cards. *For Group Tour/School Group inquires click here or call 1-800-801-8557. 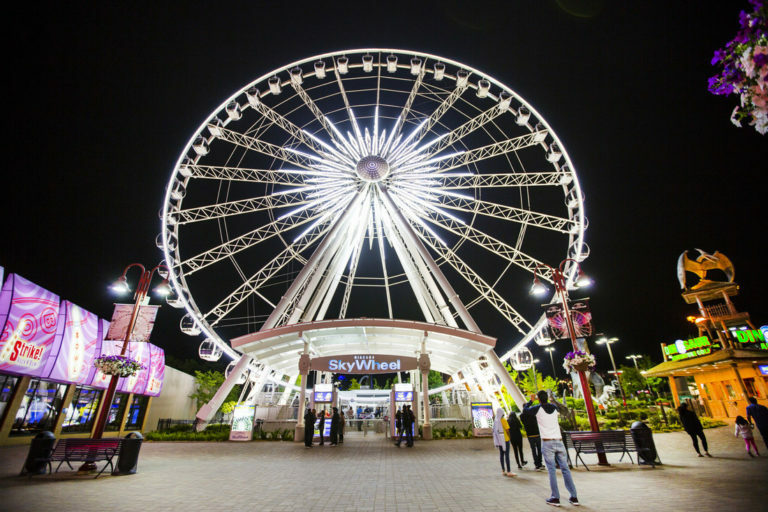 The Niagara SkyWheel runs continuously every 8-12 minutes, with the average wait time being 10 minutes long. There are 42 gondolas and six loading docks, so even on its busiest Holidays you are run through quickly. If it’s a slower day and you are all alone on the SkyWheel, they will not wait until the ride fills up for you to begin your journey. They will run it for only one gondola, no problem! Expect an average of three rotations. You will also not be seated in a gondola with people that you do not know. 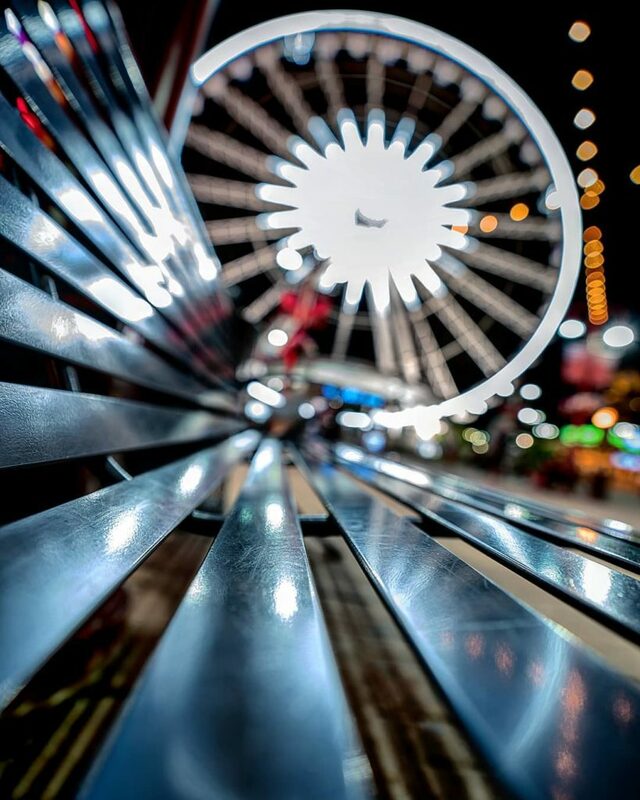 Offering two wheelchair accessible gondolas and big enough to hold up to eight people, the SkyWheel has virtually no limits in this aspect. Strollers are to be parked in the nearby “stroller parking” located next to the turnstile where they can be closely monitored, but car seats are no problem to take on. It is safety inspected daily before the ride opens. Every nook and cranny doesn’t get left out and it is also thoroughly cleaned throughout the day. Run on a generator should the power go out, you are never left stuck and unattended to. If you have an emergency and you need to get off, you simply hit the help button and you will be taken off after that rotation is complete. Friendly and knowledgeable about the ride, they will answer any questions you may have. They always put the customer first. 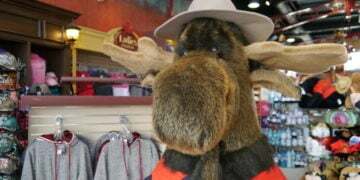 The cashiers can provide you with any tourist-related answers to your questions and will offer you deals in forms of packages such as the Clifton Hill Fun Pass which you can purchase on-site or online. It is strongly recommended that you look into their deals for families as they can offer you incredible savings. 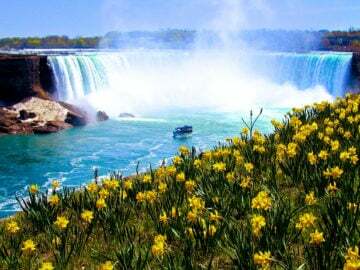 Since its inception, there has been countless proposals on the Niagara SkyWheel. The breathtaking view is the perfect setting for couples to cozy up to one another. When taking in the sunset, it’s nearly impossible not to steal a kiss at the peak of the 175 foot structure. Word of mouth is everything. Young or old, you will be hard-pressed to find anyone that dislikes this ride. The few people that I spoke to that were initially frightened to ride because of its sheer height, came off glad that they rode it. 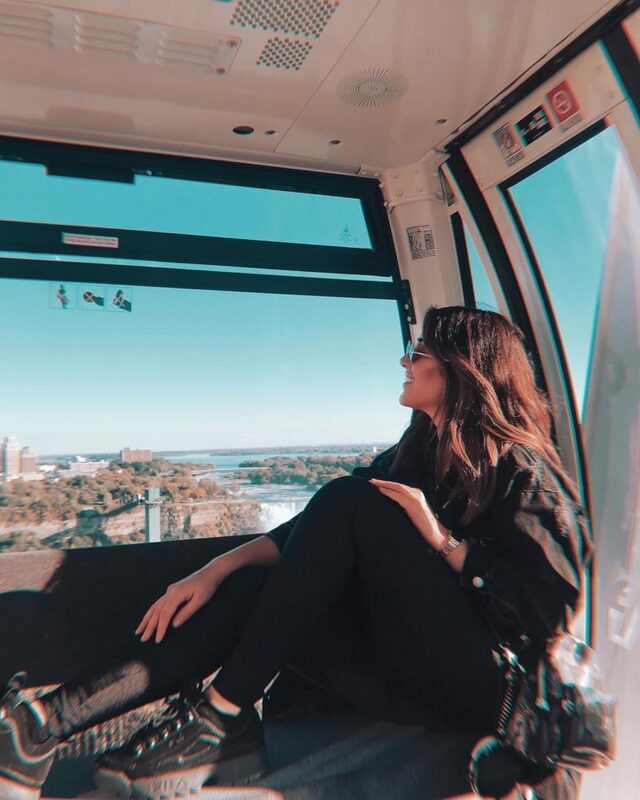 All you need to do is check out their rankings on sites such as Trip Advisor to see how well received the Niagara SkyWheel is and how popular it has become as a focal point of Niagara Tourism. 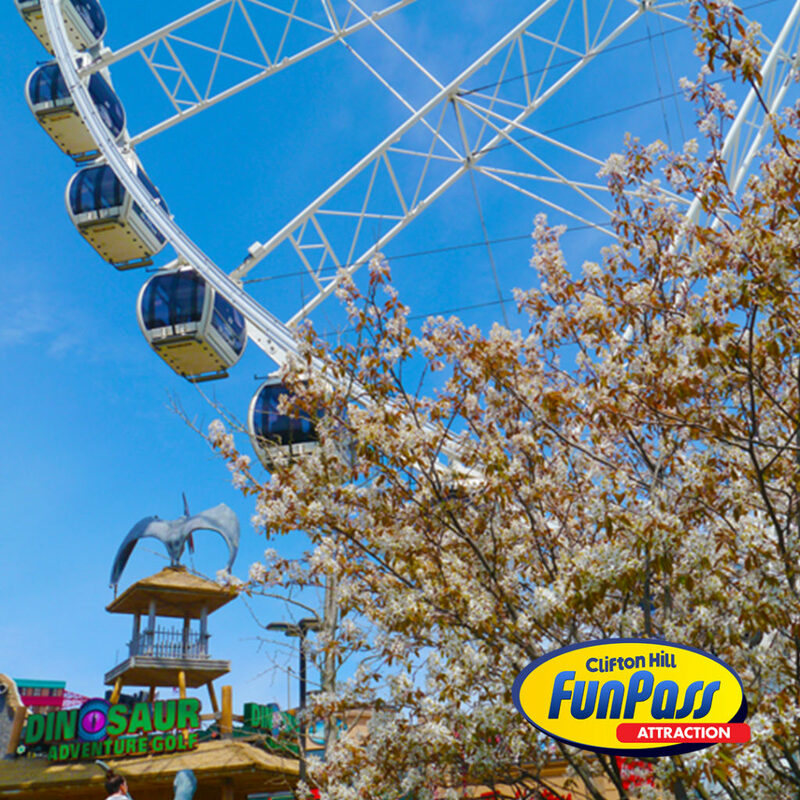 The Niagara SkyWheel is part of our 6 attraction, Clifton Hill Fun Pass. 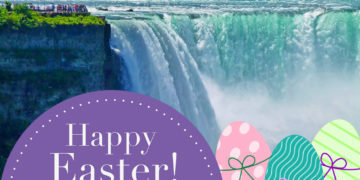 When you purchase your pass(es) online, you will be treated to TWO (2) Niagara SkyWheel as a bonus, rather than one admission when purchasing in person.